Digital innovation is in SAP Labs China’s DNA, and it keeps the innovation pipeline going by inspiring employees. Digital Labs @ SAP Labs China is one of our concrete moves, not only to introduce cutting-edge technologies into workplace, but also enable grass-root innovation. By building a digital Labs, every employee gets first-hand experience of how digitalization fits into the daily life, so as to let more inspirations spark up — cast a brick to attract jade of innovations to advance our digital business solutions. 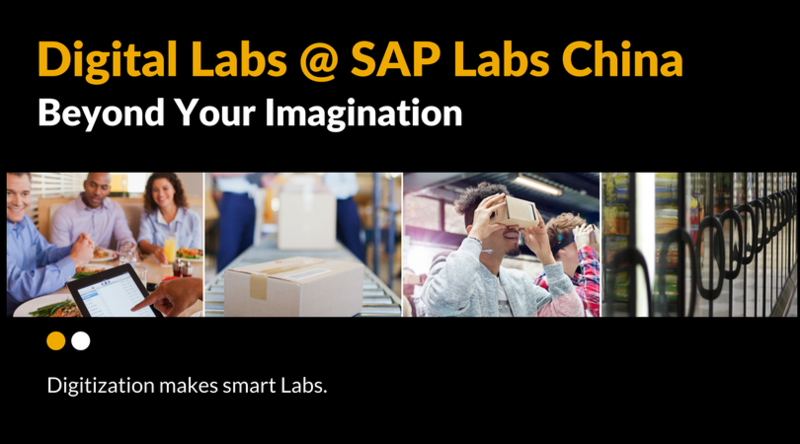 SAP Labs China has launched the Digital Labs Program in 2015. Since then, the program has attracted great interests of our colleagues. With majority of efforts from our local colleagues, and thanks to dedication of their after-work time into the project, we are now having 3 digital solutions live (Digital Lunch, Digital Xpress, Digital CSR), and 3 in PoC phase (Digital Access, Digital Campus Tour and Digital Coffee Machine). A great deal of efficiency improvement has been discovered in our Labs by Stefan Ries, SAP Chief Human Resources Officer and Member of the Executive Board during his latest visit to Labs China in June 2017. He was the first user and tester of digital access and digital campus tour, and has provided positive feedback and as well as lots of improvement suggestions. Being the 3rd largest Labs globally and having canteen space limitation, Labs China has always been under pressure to serve nearly 2,500 colleagues at the canteen during lunch time, and our colleagues felt that long waiting lines never end up. So how can we kill two birds with one stone – to solve long queues problem and to drive digital innovation spirit? 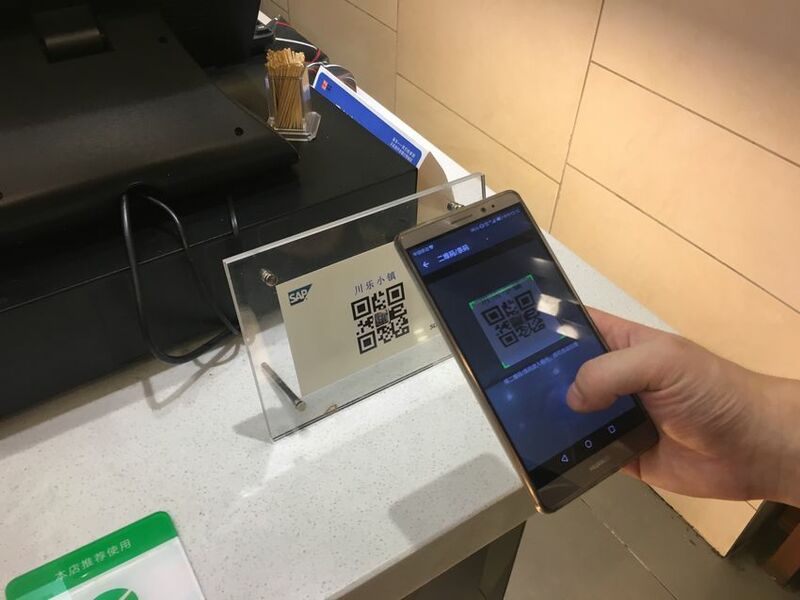 The answer is Digital Lunch, built through SAP cloud technology and third-party social application (WeChat). This digital solution has greatly relieved the volume problem in lunch peak by offering more lunch choices in campus neighborhood. This way our colleagues are able to enjoy meals with a swipe of a mobile in more flexible working hours to save waiting time, and to increase productivity. Our visitors shall feel that SAP Labs China is digitalized by their own experience, and see themselves that SAP is a cool company with cool innovations. 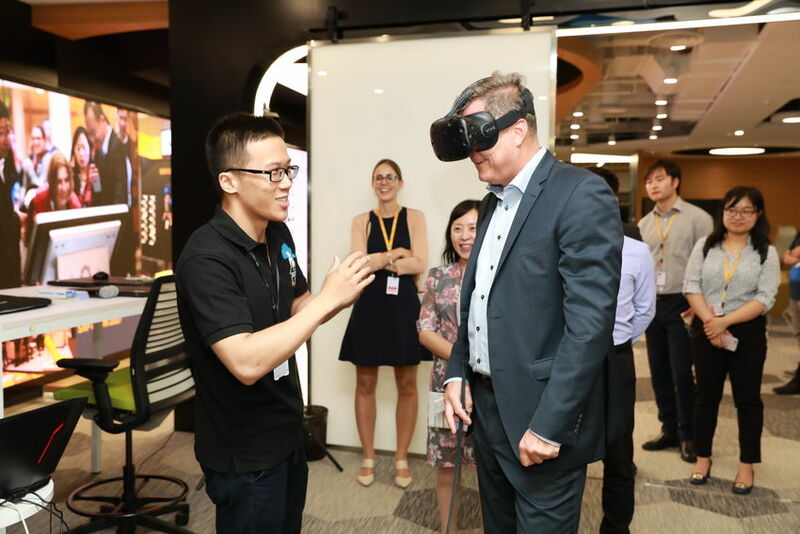 With Digital Campus Tour, visitors can have a VR-based immersive and live experience of SAP Labs China Shanghai campus in 3 minutes. Mobile Digital Campus Tour can provide visitors needed location and meeting room insight even before they visit Labs China or on the way to Labs China. Next step, 3D modeling with more interactive elements will be added into the Tour, and the visitors will experience the charm of Labs China in a vivid environment. 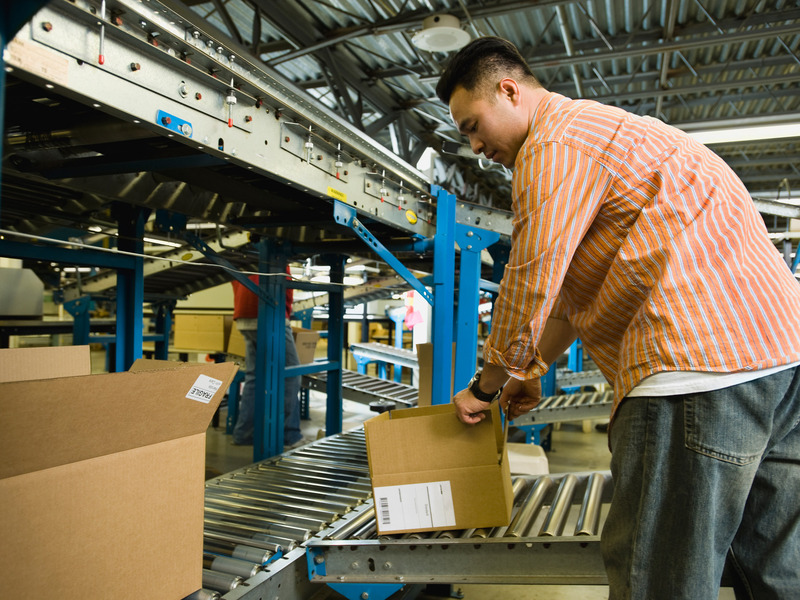 In our Shanghai campus, mail office needs to process 40 packages per person every year – multiply it by 2500! Therefore, we found the old-fashioned parcel delivery service was highly labor intensive, thus associated with high human and time cost. When Digital Xpress, a fully automated end-to-end mail service, went live, piles of tedious manual work were simplified to a two-step process – “swipe and go” – and meanwhile with 90% operation steps being automated, human errors like wrong delivery, were minimized. Since May 2016, 93,000+ packages were “consumed” by the solution, with 0 stock. Topics of Machine Learning are all over the world now. Based on SAP’s machine learning algorithm, Digital Access serves as an advanced solution to improve campus security, optimize user experience, enhance SAP’s branding as a tech-giant and provide excellent opportunities to those who are interested in machine learning to share and apply their know-how in real scenarios. Reason behind is that we found that traditional access control methods are synonymous with low-efficiency and high-cost (installation cost, badge cost etc.) Besides, currently when one claims forgetting his ID badge, determining his identity also brings security risks. 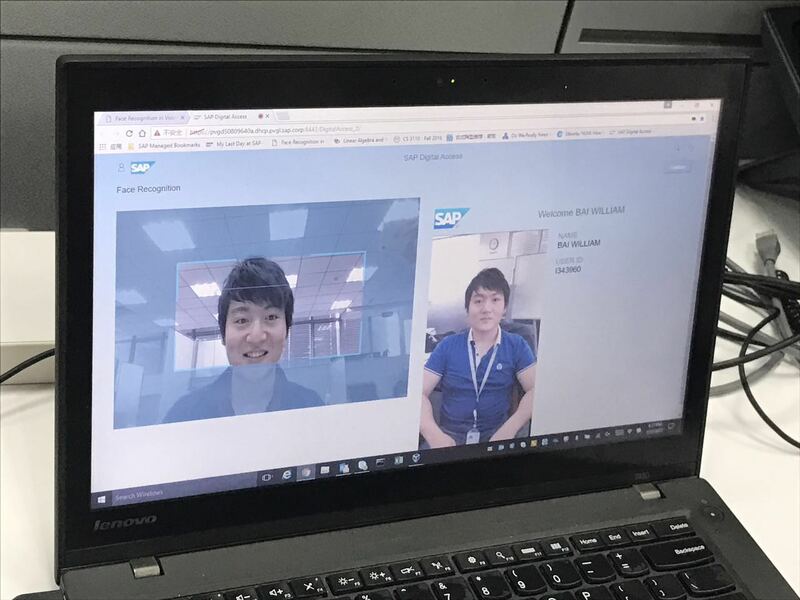 Taking these two points into consideration, SAP Labs China and global physical security team have launched the Digital Access program, intending to integrating the cutting-edge biometric technology – facial recognition – into our security system to bring in both agility and user-friendliness. Although those are just small steps to facilitate workplace and employee experience, we expect big leaps to breed break-through innovations. With new ideas coming from our passionate and creative colleagues every year, Labs China doesn’t view its Digital Labs as a “once-and-for-all” program. It evolves in an active way towards a great digital Labs!